It’s that time of year again! 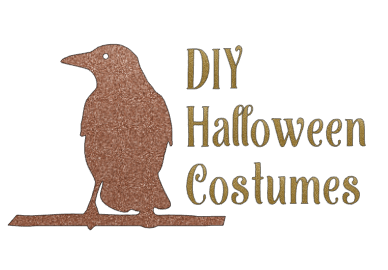 The season when the ghouls, goblins, and ghosts make their appearance. 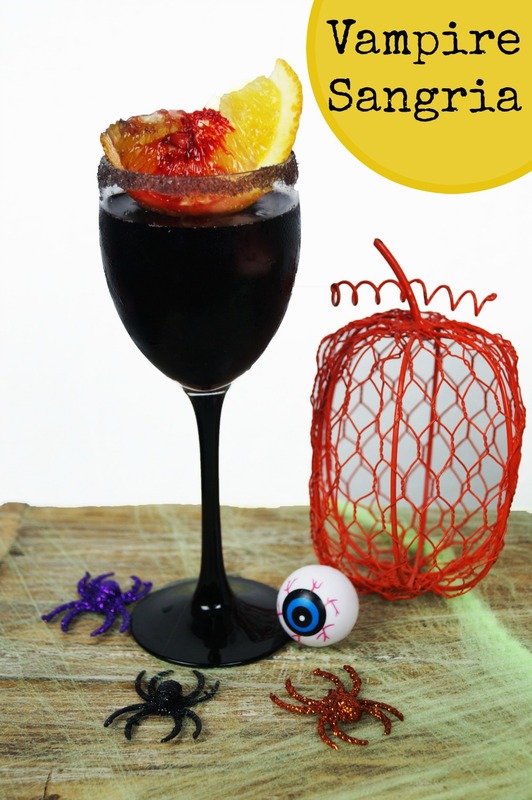 Celebrate with a spooky Vampire Sangria cocktail that’s oh so easy to make. 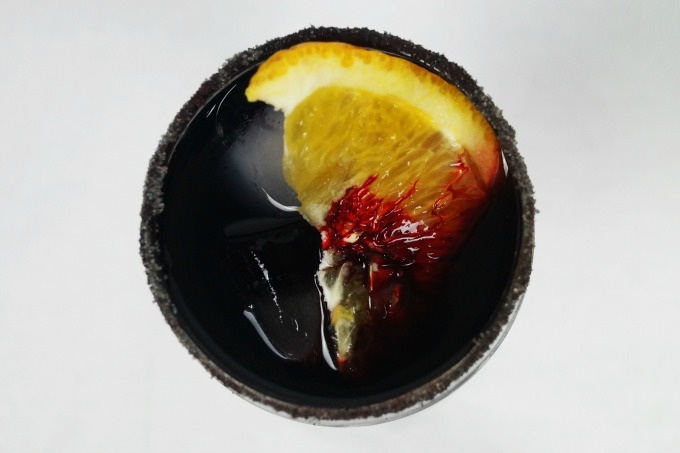 This Halloween cocktail is perfect for your next get together with your blood-thirsty friends. This Vampire Sangria can be made in large batches, too. It’s a great twist on the traditional party punch. Links may be affiliate links. They help support our nail polish habit. Rim a red wine glass with purple sugar. Add a slice of orange drizzled with a bit of grenadine for an extra gory garnish.